Announcing Dr. Edward Shaivitz | Cockeysville, MD | Daniel E. Fielding, D.D.S. 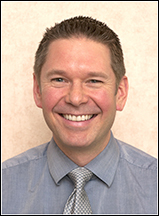 During my years in dental practice I have had the opportunity to meet and care for you and your families. My team and I are thankful for your support and have enjoyed getting to know all of you. With this in mind, it is my pleasure to inform you of an upcoming change in the office. I have decided to seek a colleague, Dr. Edward Shaivitz, to work with me in order to expand the services offered and to expedite care for more urgent treatment needs. Dr. Shaivitz and I met through our local dental lab, PG Lab, who excel in the fabrication of crowns, bridges, dentures and other prosthetics for our patients. Our common goal to provide the best dental lab work for our patients brought us together. Like me, it is Dr. Shaivitz’s mission to provide superior dental care, while educating patients about their oral health and ensuring patient comfort. Dr. Shaivitz graduated with honors from Rutgers University and attended the University of Maryland School of Dentistry in Baltimore. After dental school, he completed an internship at the renowned Eastmon Dental Center. Dr. Shaivitz also continued his training at the University of Maryland School of Dentistry by specializing in prosthodontics, the dental specialty of crown and bridge work, dentures, implants and cosmetic procedures. Dr. Shaivitz has practiced dentistry for over 30 years in Laurel, Maryland. He is an active member of the American Dental Association, the Maryland State Dental Association, and the Baltimore County Dental Association. He keeps up to date on the newest techniques and the latest research so that he can offer you the best and most conservative treatment options. I am confident that he will serve you well. 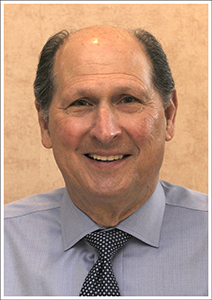 Dr. Shaivitz is married and has two children and four grandchildren. He enjoys sailing, exercising and watching his grandson play basketball and lacrosse. He is also an avid lacrosse fan. We look forward to you meeting Dr. Shaivitz. My team and I appreciate your ongoing support. I am excited to bring Dr. Shaivitz on board to help provide you and your families with excellent dental care in a professional and friendly manner. And as always, we appreciate your referrals. If you are aware of anyone you feel would benefit from the service we provide, please have them give us a call. We would be honored to care for them.